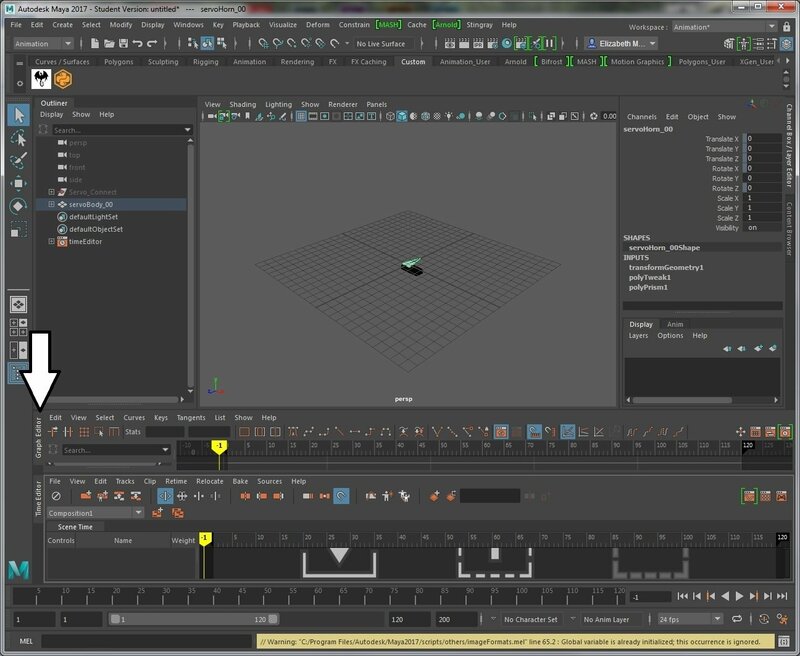 Missing your Graph editor in Maya? I struggled with this a bit, trying to figure out where Maya was putting the Graph Editor, or even if it was there at all. Found this link, but it turns out my problem wasn't that the Graph editor wasn't there, it's where it actually was that was confusing. Mine appeared at the BOTTOM of my screen.